Come and visit us at one of the best markets that Dublin has to offer, the Newmarket Collective. Browse the best of Irish Craft & Design this Sunday, 5th November, from 11 to 5 in the Green Door at the Newmarket Square in Dublin 8. Chat with the makers and designers, get some delicious pastries and coffee and get some early Christmas shopping done. At it Again! will be there with plenty of literary gifts, card packs and special offers. Our books and notebooks are perfect as Secret Santa gifts and ideally sized for stockings. And we always love to chat with you about your favourite book or author and how to have a literary adventure. Hope to see you Sunday! 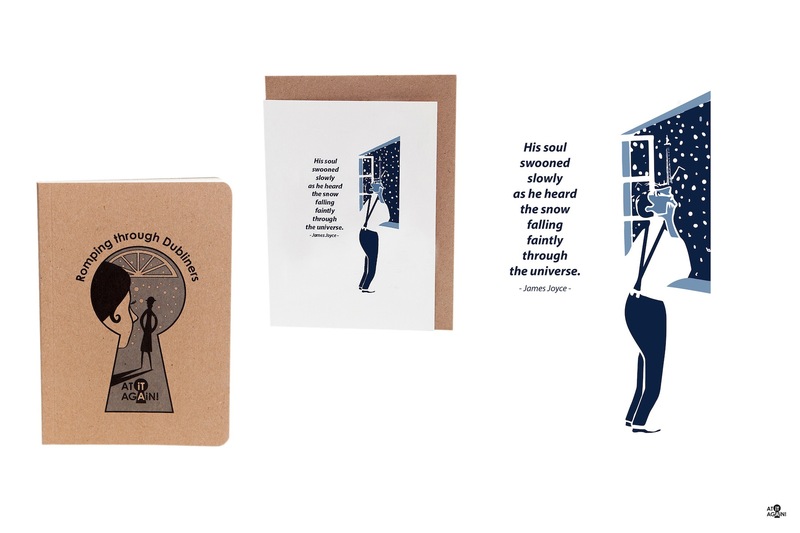 Joycean Literary Christmas Gifts and Cards by At it Again!